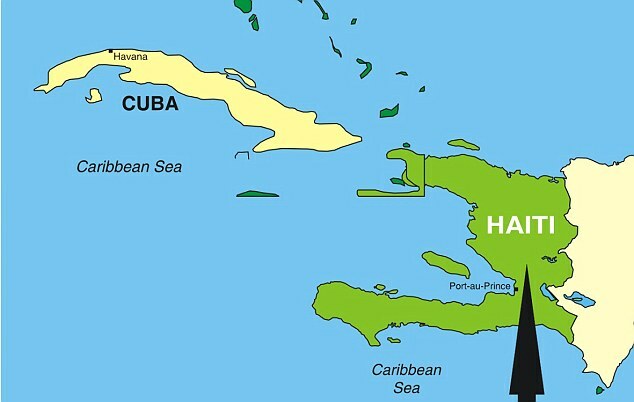 As Haiti continues to slowly rebuild following the earthquake which devastated the Caribbean island in January 2010, it has come to light that helpless children are being trafficked for as little as 76 pence each. 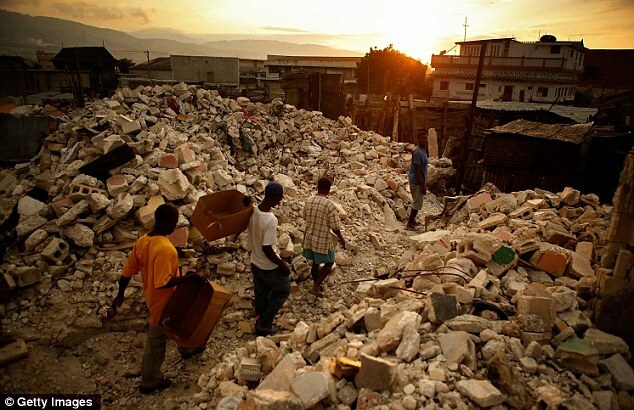 Registering 7.0 on the Moment magnitude scale, the earthquake - which struck on January 12, 2010, near capital city Port-au-Prince - killed between 100,000 and 300,000 people, and displaced well over a million. Aftershocks were felt for weeks afterwards and, with conditions difficult to build in, there were further complications when there was a cholera outbreak in makeshift camps last year. Over 76 per cent of the country are living on less that £1.50 a day, and just when you thought that the horror could not be any worse, charity Unicef have found that a number of children - many of whom lost their parents in the tragic earthquake - are been sold for next to nothing. 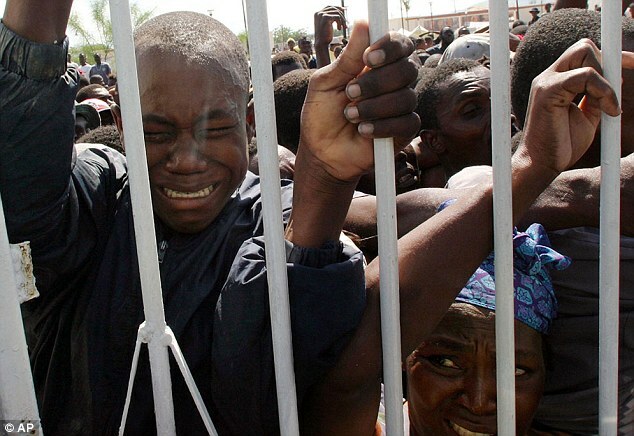 Traffickers, wanting to cash in on the chaos, have been buying the children off their desperate parents, and some of them are grabbed in neighbouring Dominican Republic while they are scrounging for food. A small amount of the children might manage to end up in the arms of loving and wealthy western families in Europe and America - who are none the wiser - but most are forced into more sinister jobs, such as prostitution and other criminal activities. Parents, struggling to even feed - never mind educate - their young ones, are selling them on to the traffickers, who promise to hand their offspring a better chance in life. Wanting to stop the problem at its source, a number of NGO officials have begun to pretend to be interested buyers, in the hope that they can stamp out the horrific problem. 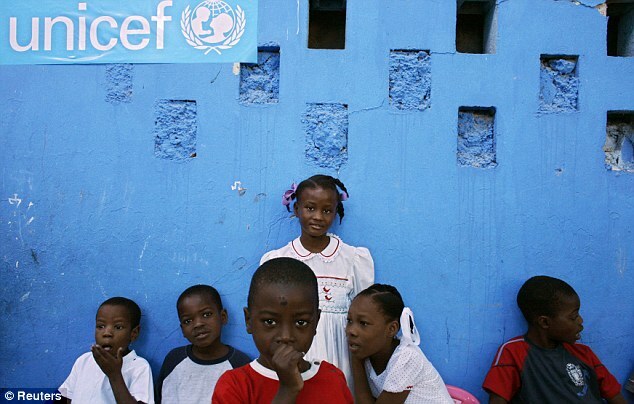 Brigade de Protection des Mineurs (BPM), a group funded by Unisef and who work with the help of the police, monitor the camps and Haitian borders to look out for children who are vulnerable. But it is difficult to keep track of all of the children - some of the camps contain over 80,000 families, and many of them do not have any identification. 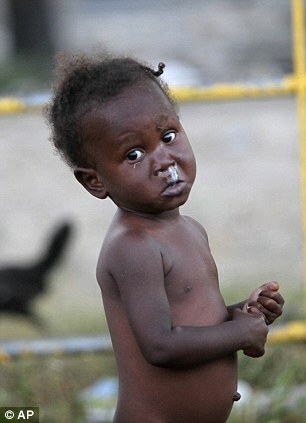 The Daily Telegraph reported how 38-year-old Melissa Nau, who gave birth to five children and suffers from disability, sold four of her young ones for only 50 Haitian gourdes (76 pence) each. When a trafficker called Jacques offered the money for the four children, aged between four and eight, she made the deal. While the money she gained lasted but a few months, the children have gone for ever. Research by the BPM uncovered information that chilled the mother - her children were handed false records and then illegally adopted by European families via an international adoption agency. BPM officer Françoise Moise revealed that trafficking had been a long-term issue in Haiti but has grown increasingly worse in the last year. 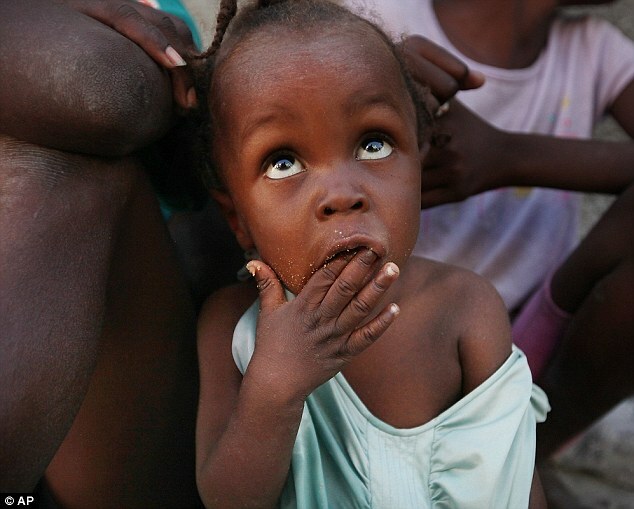 Even before the earthquake, every year almost 2,000 Haitian children were kidnapped or trafficked. Now the figure is believed to have quadrupled. 'Since the earthquake in 2010, rates of trafficking into the Dominican Republic have increased incredibly and that is the reason why we are here,' the 46-year-old told the Telegraph. 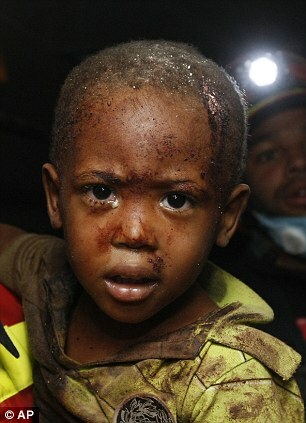 'People are coming into the camps posing as NGOs, and foreigners that have come to help Haiti. 'They also pose as Haitians living abroad coming to help and sometimes even Haitians living here, pretending to be members of their family. 'Most of the children that are trafficked into the Dominican Republic have fallen victims of prostitution or these children are adopted illegally. Published Tuesday, February 22, 2011.